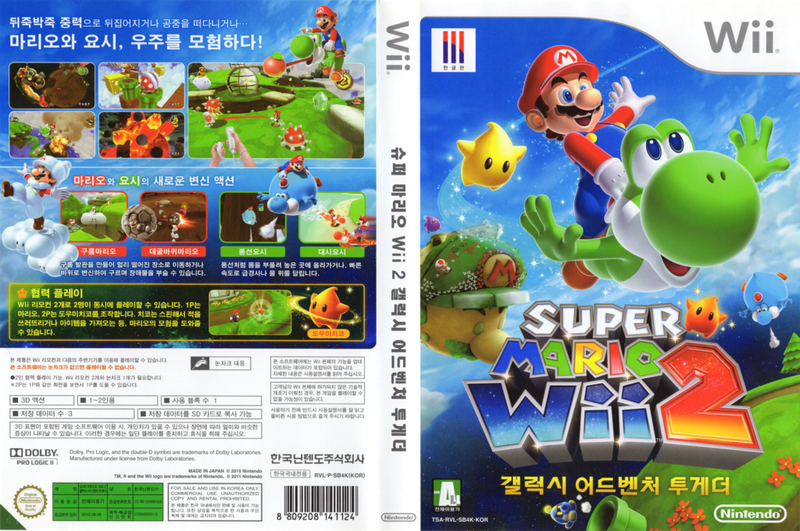 synopsis (EN) Super Mario Galaxy 2, the sequel to the smash-hit galaxy-hopping original game, includes the amazing gravity-defying, physics-based exploration from the first game, but is loaded with entirely new galaxies and features to challenge and delight players. On some stages, Mario can pair up with his dinosaur buddy Yoshi and use his tongue to grab items and spit them back at enemies. Players can also have fun with new items such as a drill that lets our hero tunnel through solid rock. synopsis (ES) ¡Prepárate para experimentar una nueva aventura de proporciones intergalácticas protagonizada por Mario y Yoshi! Encontrarás un universo lleno de galaxias que desafían a la gravedad, una gran variedad de amigos y enemigos, y diversos objetos especiales en este inolvidable viaje a través del cosmos.